I cried at my very first Oscar de la Renta show. 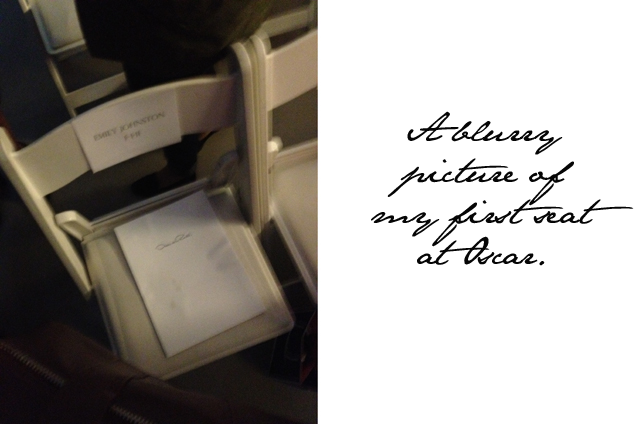 Truth be known, it was the first time I had been so overwhelmed with emotion, sitting front and centre to witness the beautiful mind of Oscar de la Renta. His genius was put on display with each model that walked before me that day. I was in awe of his vision, his talent and his ultimate delivery. These were truly masterpieces walking the catwalk and each and every person in the audience was a part of something memorable and bigger than all of us at that moment. When I first started FFG I wrote down, on a piece of paper I still have, the two things that would be the dream if this whole blog business was to somehow go well. I wanted to attend just three runway shows before we lost the legends behind the brands. Oscar de la Renta was top of the list. Talking to Oscar’s staff (who truly should be referred to as family) over the years, I was given a better picture of just how much Oscar de la Renta loved doing what he did best – designing beautiful things, all year round. He was a man that lived for the moment a woman felt like a goddess in his creations – and if you’ve never worn an Oscar de la Renta dress, let me tell you that you do indeed feel like a goddess. 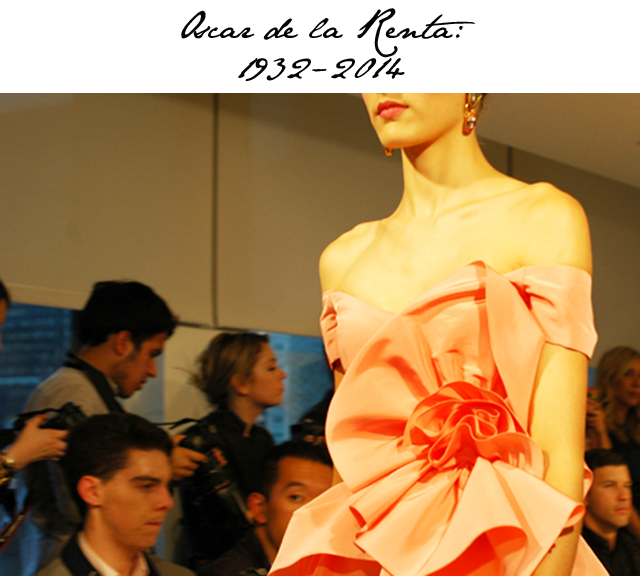 This morning I woke up to the news that Oscar de la Renta had passed and I cried again. If anything I think I was crying for the loss of a talent we will never find again. Sure, a successor in his brand has been named. He will take over the brand and do just as the other major houses have down after losing their founder – survive and most likely flourish fabulously. But, truth be known, there will never be another man who has the ability to create what Oscar did each season. Hold onto your Oscar pieces tightly, ladies. Embrace them today and strut around in them this evening. That’s the best way to honour the man that forever changed the art of dressing elegantly. Oscar de la Renta, you will certainly never be forgotten here, in this space at FFG. You changed my perception of elegance and beauty forever. I'll leave you with a video I did from my first ever Oscar show... beauty presented that will live on for all eternity.